France – The merger of Ymagis and dcinex is going well, with streamlining already well underway. It seems like with the colocations and regroupings it will fairly rapidly be able to offer an integrated operation. As for the Exhibitor Services, operated by YMAGIS from Rartingen and by dcinex from Düsseldorf, they have already been regrouped in Düsseldorf. India – Further multiplex consolidation in India with the confirmation that Cinepolis has completed the acquisition of Fun Cinemas. 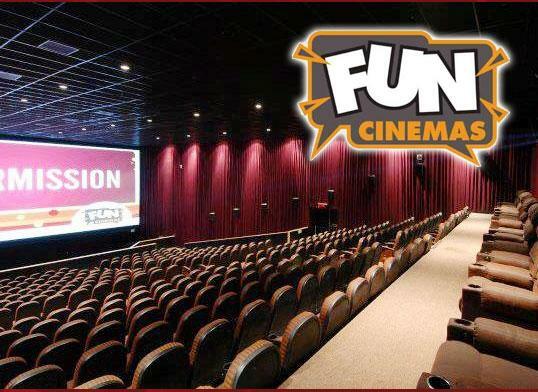 Mexican multiplex chain Cinepolis, which entered India in 2009, has completed the acquisition of Fun Cinemas, the multiplex chain owned by Shubhash Chandra’s Essel Group through E-City Ventures. According to sources in the know, the deal is valued at Rs 480 crore for Fun Cinemas’ 83 screens in the country. While PVR is said to be negotiating to buy Sathyam Cinemas. PVR Ltd, India’s largest multiplex operator by number of screens, is in talks to buy Chennai-based SPI Cinemas (formerly known as Sathyam Cinemas), said three people aware of the negotiations. The development underlines the continuing consolidation in the cinema exhibition sector. PVR has also confirmed to us that they are NOT installing CCTV cameras to catch couples making out in the back row. “Night Vision cameras are being installed as an anti piracy measure,” they tell us. Good to hear. UK – Although no Hollywood studio is apparently willing to say openly that there is no Santa Clause there will not be a second round of virtual print fees (VPFs), that was the message at the CEA Future of Cinema conference in London last week. “My understanding – and it’s fair to say, the understanding of colleagues at the International Union of Cinemas (UNIC) and the National Association of Theatre Owners (NATO) – is that there is no appetite from studios for a second VPF, even if no studio is prepared to state that publicly,” said Phil Clapp, CEO of the Cinema Exhibitors’ Association (CEA), during the panel titled ‘Designing the Future’. “I think you can understand it, whether you like it or not….our understanding is that there will be no further fundamental industry-wide VPF,” he continued. A press release from CEA tells us that the day was a sell-out success. The first session, chaired by Mike Gubbins of Sampo Media, explored the ‘digital present’ – the changes with the sector now, and the way they have enabled cinemas to programme more flexibly and to benefit from greater screen advertising income. The next, chaired by Mike Thomson of Dcinex Consulting, looked at new business models in the sector, including the growth of boutique cinema, and also at the sector from the perspective of property development. South Africa – Ster-Kinekor is promoting the VIP luxury screening lounge concept in one of its revamped multiplexes. Two Ster-Kinekor theatres at Cavendish Square in Cape Town have recently been converted into Cine Prestige theatres – the cinema company’s luxury cinema experience. The installation follows on the success of Cine Prestige at The Zone, Sandton City and Cradlestone Mall in Johannesburg; The Grove Mall in Pretoria; and Gateway in Durban. Canada (Quebec) – Even independent cinema owners are starting to upgrade to luxury seating to attract audiences back to cinemas. The owner of Cinema Lido Levis, Sylvain Gilbert, has invested nearly $ 750,000 in the construction of a “deluxe” room to battle against the home theater systems. Mr. Gilbert, who owns 16 cinemas on the South Shore of Quebec, has made this investment in order to bring moviegoers in large screening rooms. Mexico – Cinema adverts are apparently no less of an annoyance in Mexico than they are north of the border. But what irks movie goers is that cinema often do not advertise the time of the start of the film, but of the start of the ad/trailer block. In 2009, the Federal Consumer (PROFECO), through the Directorate General of Consumer Studies (DGEC) conducted a survey on the schedule of three films to confirm the schedule announced and subsequently investigate the actual time in which are initiated. The study was observed that the schedules announced match, but the real beginning of the film no. 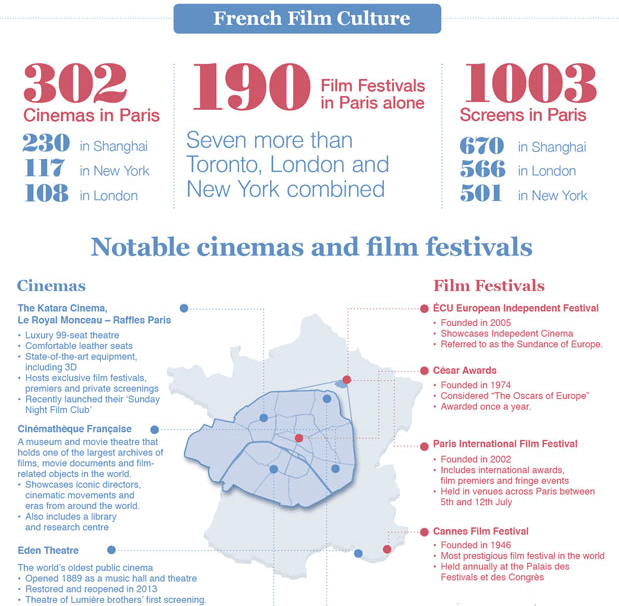 Then 596 consumers participated: 54 percent women and 46 men, who attended the film between January and October 2009. According to results published in the bulletin Compass purchase, PROFECO , 81 percent said that there is a Unlike average 13 minutes between the time that the film is announced and the start time. Today, as in that time, a difference was observed 10 to 20 minutes behind schedule announced. Japan – Exhibitor Toho is experimenting with stand-up comedy screenings in cinemas. 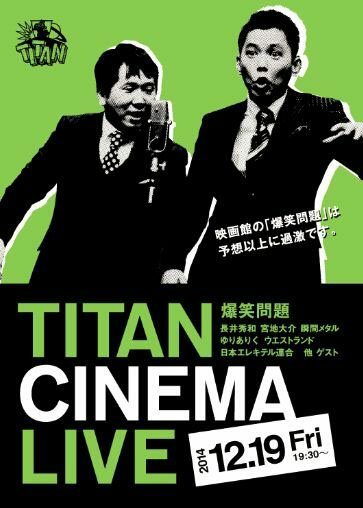 Visitors of “Laughter problem with Titan cinema live” that December 19 (Friday) is carried out in the cinema eight locations of TOHO Cinemas, Japan Erekiteru Union of sale sticker is present. USA (VA) – Good to see small cinema chains revamping old cinemas like this. While the closing of the Regal theater on the Downtown Mall may leave local moviegoers with only one cinema in town, that’s all going to change as a new high-end theater concept makes its way to Charlottesville, with plans to open by September. Violet Crown Cinemas, a small theater chain with one location in Austin, Texas, and a forthcoming location in Santa Fe, New Mexico, reached an agreement a year ago with building owner Dorothy Batten to establish a third location at the now-vacant six-theater set-up downtown. 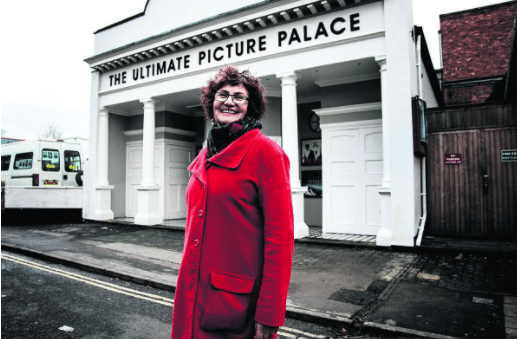 UK – A welcome return for one of the UK’s oldest cinemas. A 103-year-old East Oxford cinema will complete a £100,000 makeover next month after three years of renovation. The Ultimate Picture Palace, off Cowley Road, is to close for four days while asbestos is cleared to make way for a new ventilation system.